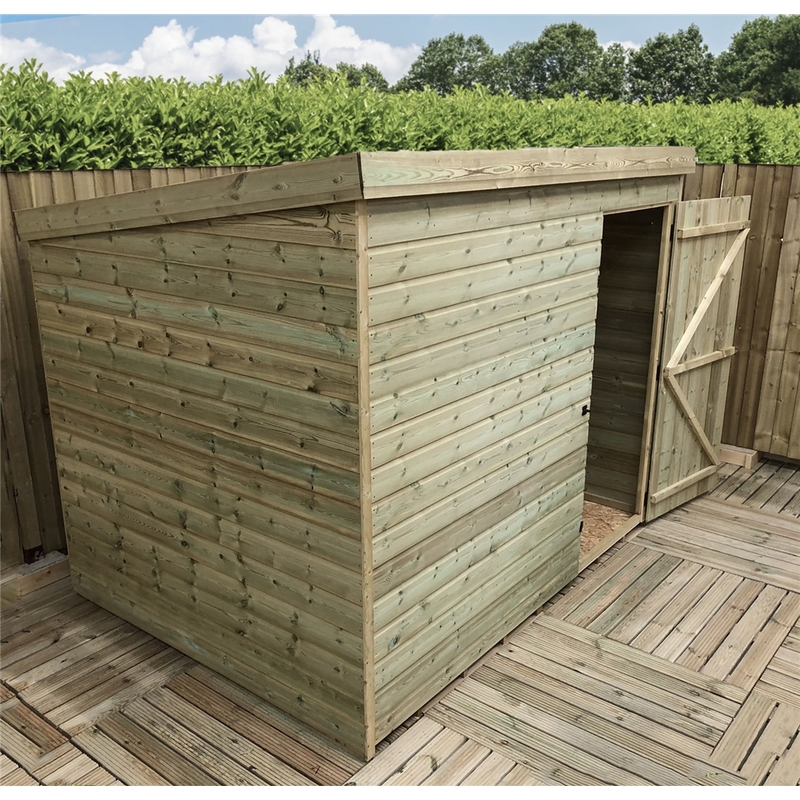 The Pent shed has ledged braced doors. 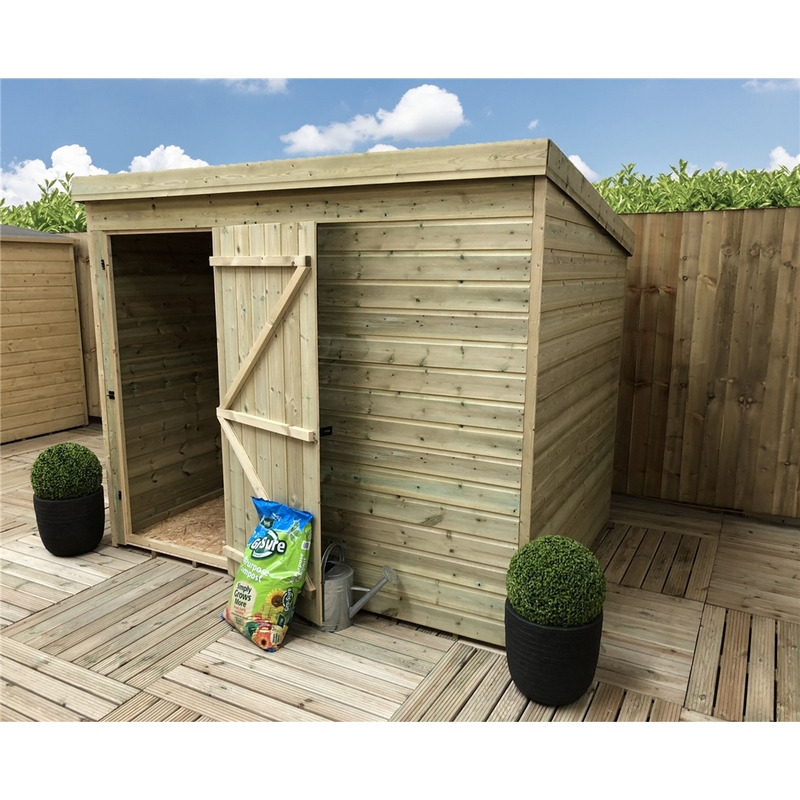 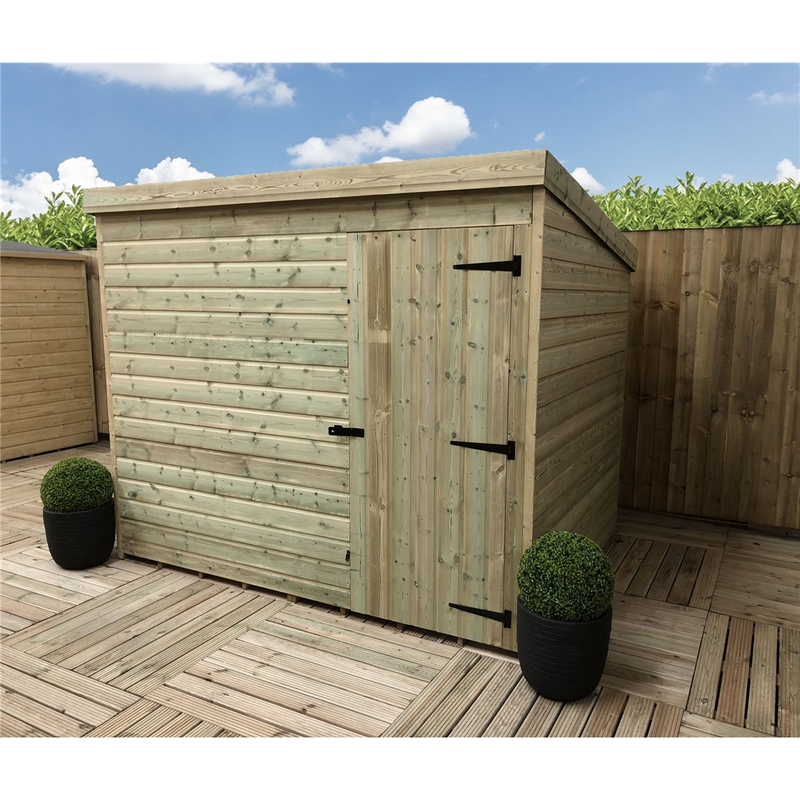 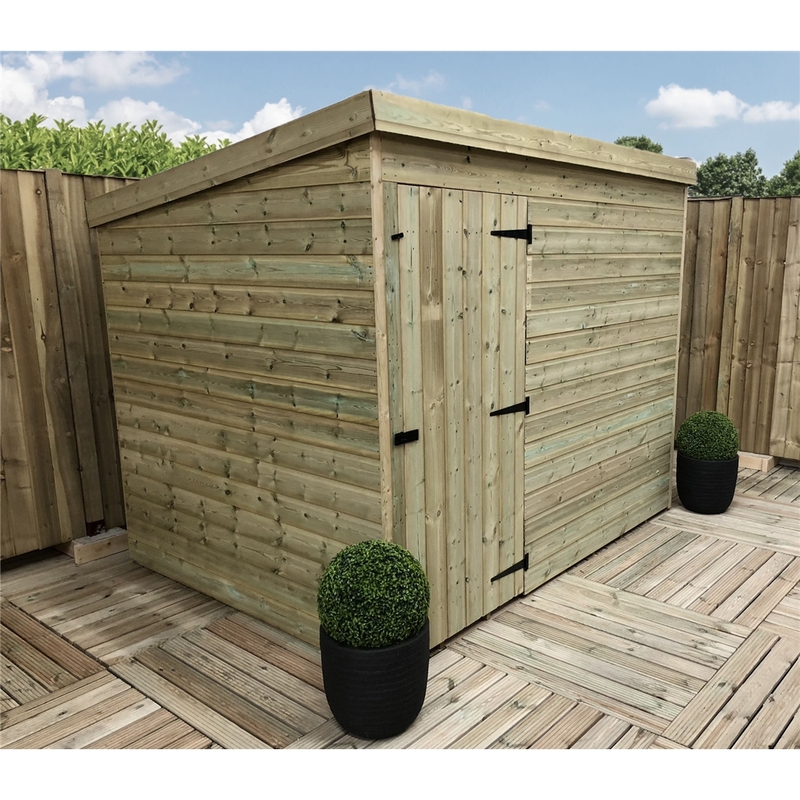 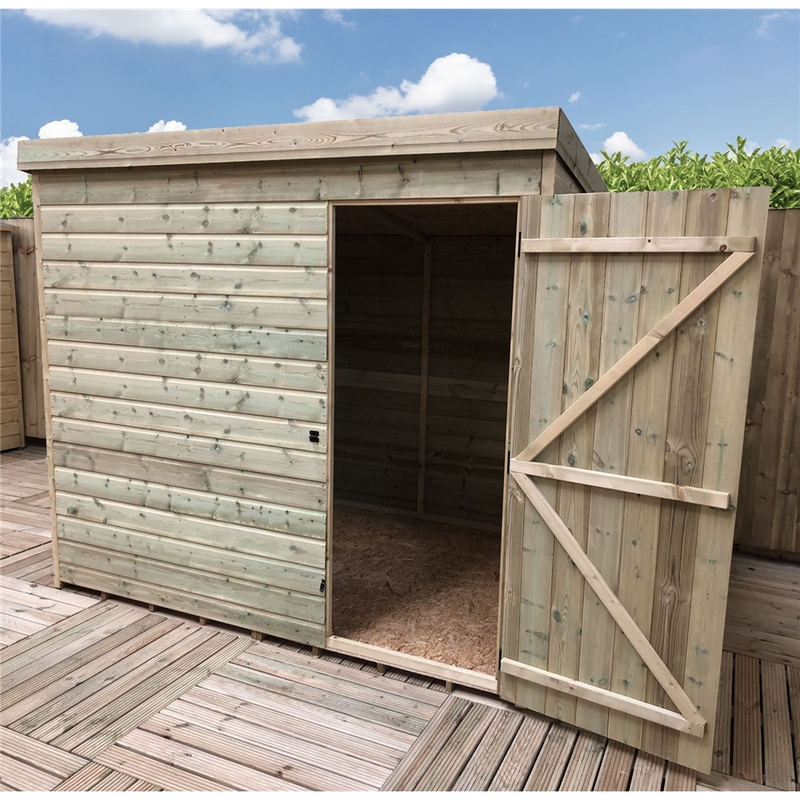 The Pent shed comes with a single door which can be placed on either side, please select from options above; 12mm pressure treated shiplap tongue grove cladding; 28mm x 44mm planed rounded framing. 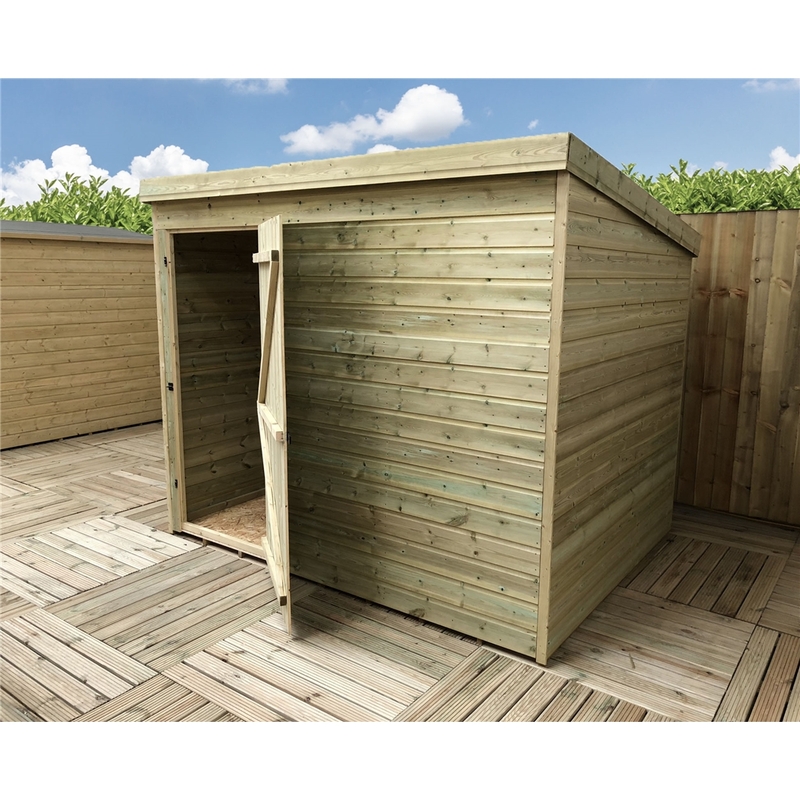 This Pent shed comes with Solid OSB Floor and Roof and mineral roofing felt and full fixing kit and instructions. 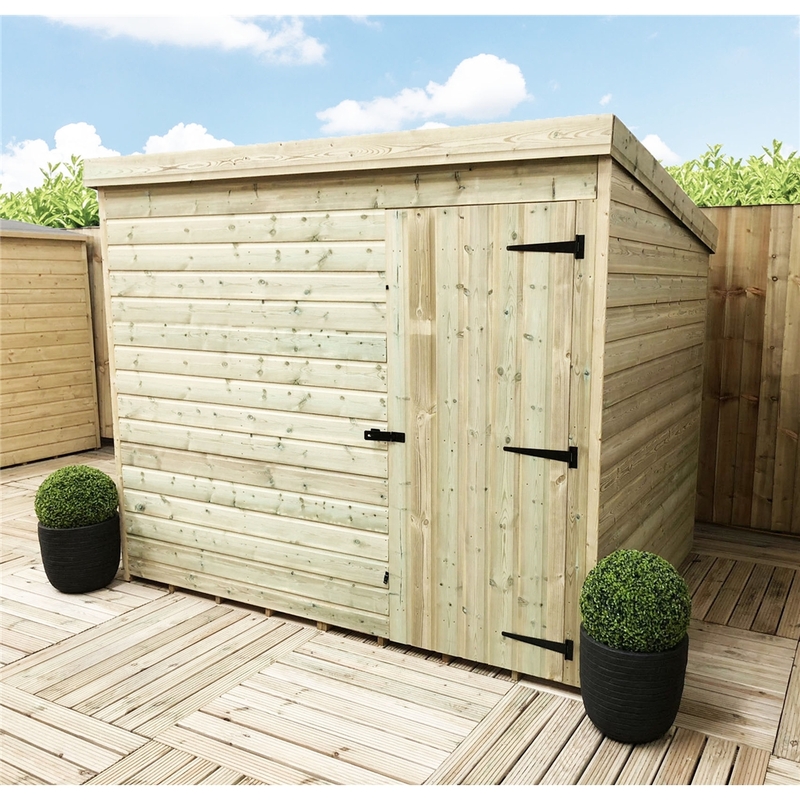 The shed is constructed from high quality pressure treated tongue and groove shiplap cladding. 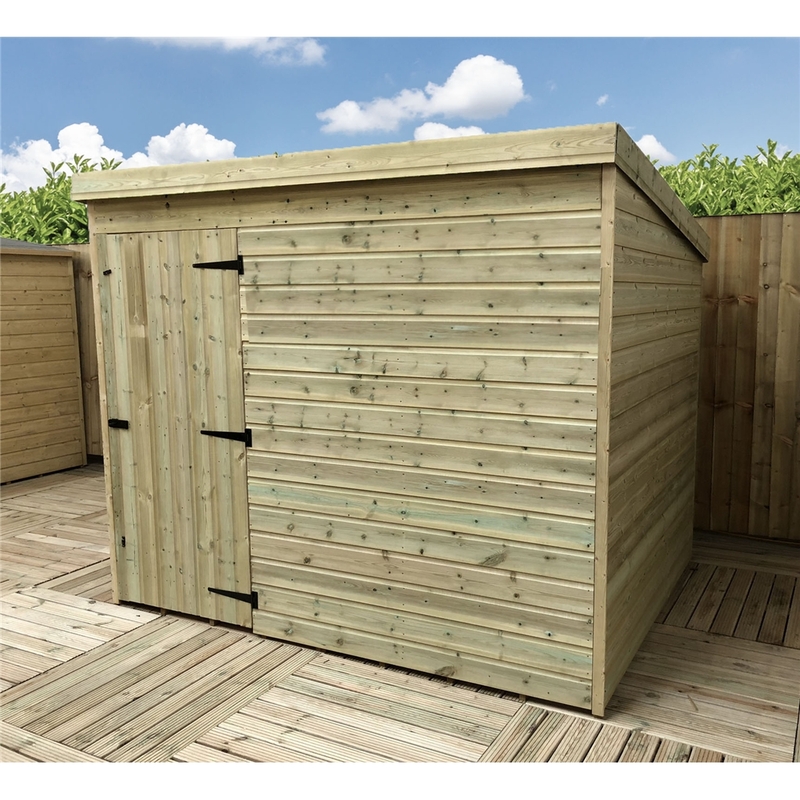 The high quality floor joists give the shed a solid and sturdy feel. 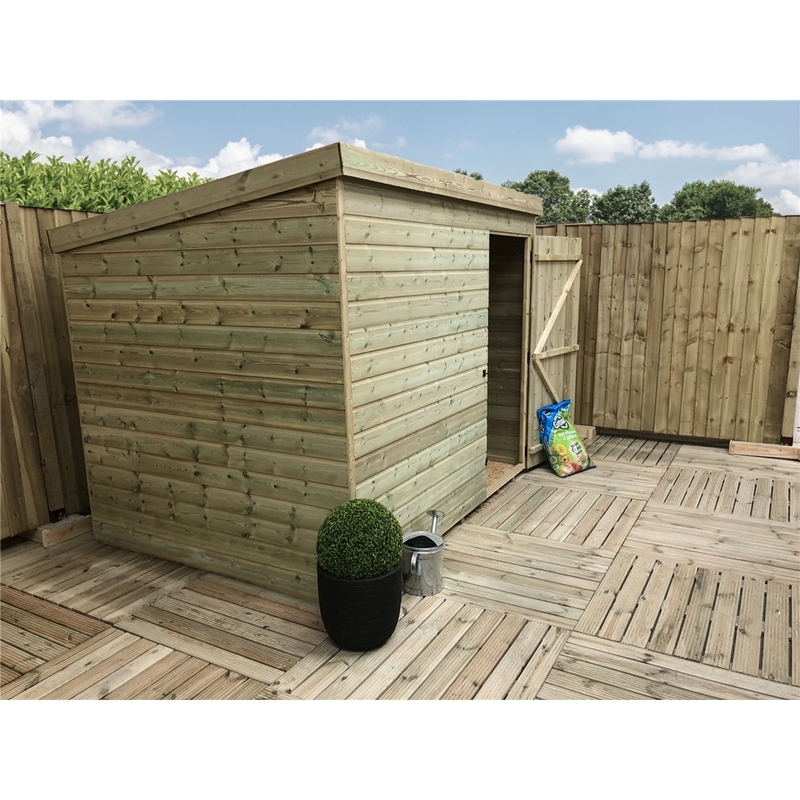 The floor and roof is constucted from 10mm solid OSB Board.